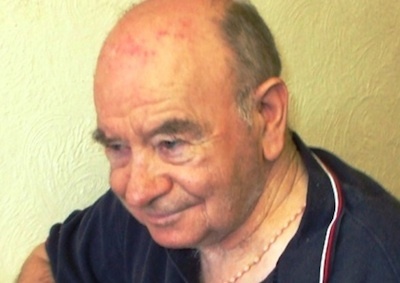 Sean Parker, from a small village in County Galway, died in London aged 79, with no known family or friends. A public appeal by a council official in a local newspaper led to him being traced to a family, school and graveyard near the Galway-Roscommon border. Months later, Mr Parker (pictured) has been laid to rest this week beside his mother Annie who died in 1945 following a funeral mass in Glinsk parish church. Mourners heard how Mr Parker emigrated only to end up living a life of hardship on the margins of society in London. Sally Mulready, the director of the Irish Elderly Advice Network in London, said instances of emigrants dying alone with no relatives or friends was common. But one of the few links they have to Ireland will be lost when RTE’s longwave 252 kHZ service is axed in just more than two weeks. There is growing opposition to RTE’s plans to scrap its longwave service on October 27 to encourage people to listen in on laptops and mobile phones. The Provincial Council of Britain GAA is preparing a letter to RTE director general Noel Curran, as well as communications Minister Alex White, calling for the decision to be reversed. British chairman for the Gaelic sports association, Brendie Brien, said that many older people who had emigrated from Ireland decades ago relied on Radio 1 to maintain a connection with the 26 Counties, with most still unaware of RTE’s plans. “They have been used to being able to switch on their radio and listen to their programmes, whether it’s to GAA matches or Joe Duffy [on Liveline], and most of them will have no confidence when it comes to dealing with modern technology. Many won’t even know that the longwave isn’t going to be available soon,” he said. London-based Mr Brien appealed to the national broadcaster to consider those who would be worst-hit by the move. “It’s going to be very hard for people who are living alone. They are often totally reliant on the radio for their only connection to home and they are in danger of losing that now,” he said. Sinn Fein’s Barry McElduff, who publicly criticised the loss of RTE’s medium wave service six years ago, also expressed concern that many people in the Six Counties would be left vulnerable by the cut. “It’s not good enough that anyone in the north should lose access to Radio 1. Many older people are intimidated by any kind of new technology and to suggest that they can easily make the switch to something new is not being realistic. “I can’t overstate how important RTE Radio 1 is to many people in the north. We grew up listening to it,” said the West Tyrone politician, adding that RTE had “an obligation” to ensure all its services were available across the entire island of Ireland.